Get ready, it's your turn to step up to the conductor's podium to experience the most emotional orchestral collection ever released with Miroslav Philharmonik 2 CE. When it comes to new sounds, variety, character and content size, Miroslav Philharmonik 2 CE beats every competitor. If you don't believe it, click here. And just like in the full version, each of its instruments captures the uniquely human element that has made Miroslav Philharmonik 2 such a go-to tool for composers, soundtrack scorers, producers and more. 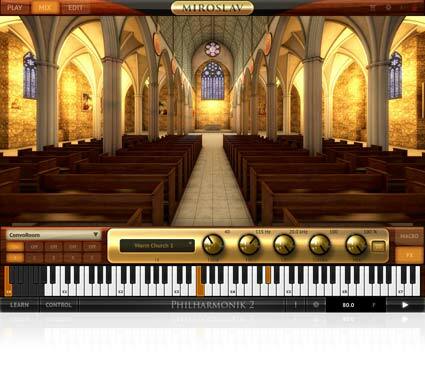 It gives you all of Miroslav Philharmonik 2's multi-articulation switching instruments. This means that when you select an instrument to play, you won't just hear a note — you'll hear all the passion, pain, joy, suffering and excitement of the musician playing that note. 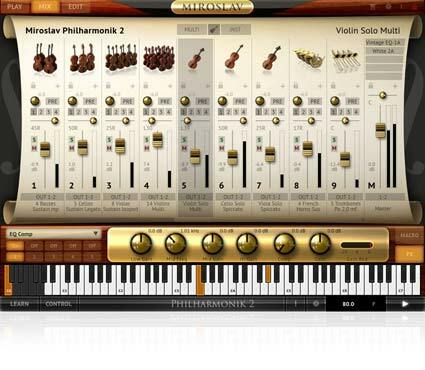 Miroslav Philharmonik 2 CE lets you enter a nearly infinite world of emotional symphonic sound. It comes with 34 of the best studio plug-in effects from IK Multimedia's acclaimed SampleTank 3 sound and groove workstation. You can control these on their own, or you can take advantage of each instrument's 8 macros that give you quick access to the most commonly used parameters for effortlessly simple sonic sculpting on the fly. It also comes with the ConvoRoom convolution reverb plus 4 professional-grade mastering processors from T-RackS. Human expression, emotional feeling, musical grandeur — these are the qualities that have made Miroslav Philharmonik 2 such a highly regarded orchestral collection. Its sounds offer an amazingly lifelike playing experience with power, passion and emotion that's unmatched by any other comparable library. The sample collection that makes up Miroslav Philharmonik 2 CE draws from both the new Miroslav Philharmonik 2 sessions and the time-proven Miroslav Philharmonik 1 library. Miroslav Philharmonik 2 CE lets you experience the power of the full version for a fraction of the price. It comes with a 10GB collection with over 700 instruments that cover all the categories of the full version. This includes violins, violas, cellos, trumpets, french horns, trombones, tubas, bassoon, flutes, english horns and more. Each of these instruments comes with its own realistic articulations that let you add that human touch quickly and easily. All instruments in Miroslav Philharmonik 2 CE are provided at a processor-friendly 16-bit/44.1kHz sample rate so you can use them easily on any computer. Miroslav Philharmonik 2 CE provides you with a lush 31-piece string section with 14 violins, 8 violas, 5 cellos and 4 contrabasses. A playable instrument of the complete ensemble, it’s a great way to quickly make great-sounding simple string arrangements. 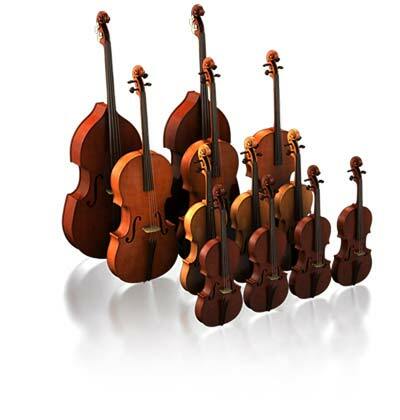 For more complex orchestration, you can go deeper into the separate ensemble instrument sections for violins, violas, cellos and contrabasses. Each section is available with multiple articulations. 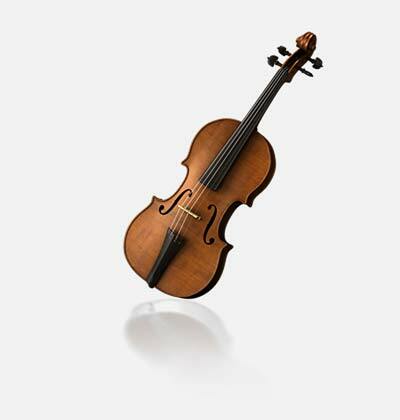 Bring your playing to life with masterfully played violin, viola, cello and contrabass. Miroslav Philharmonik 2 CE’s deep range of articulations lets you easily add human expressiveness and emotion to your compositions by choosing exactly the right articulation for the musical passage you are creating. Switch between articulations on the fly or load dedicated single articulation instruments. Miroslav Philharmonik 2 CE comes with an 11-piece brass ensemble that lets you add weight and majesty to any production. In addition to the combined orchestral ensemble instruments, you get individual sections for trumpets, trombones, french horns, trombones and trombone with tubas. These give you the freedom to start arranging immediately without having to load multiple instruments. The available combinations will allow to find just the right density for your ensemble sound, or use the ensembles as a way to jump start your creative process. Miroslav Philharmonik 2 CE’s brass ensemble is pretty impressive, but a whole is only the sum of its parts: each individual brass instrument has been recorded by a top classical musician. 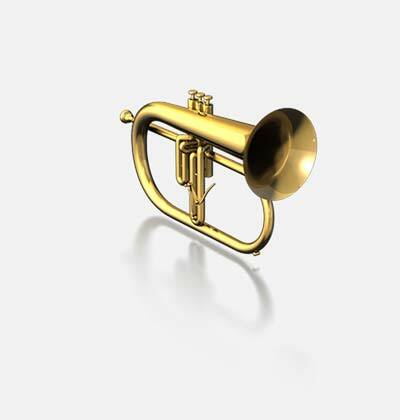 You get solo trumpet, french horn, tenor trombone, bass trombone and tuba instruments that each come with their own wide range of articulations for maximum expression and tonal color. 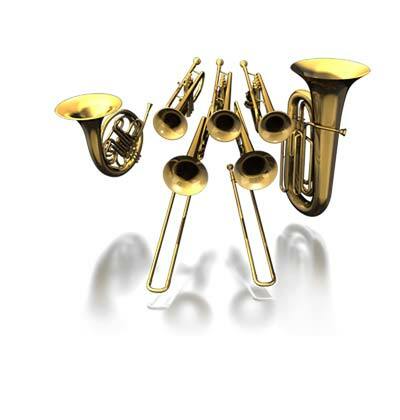 A single brass quintet instrument provides fast access to the full solo instrument range from tuba all the way up to trumpet, and then there are master key switching instruments for each solo instrument type. Load the solo french horn key switching instrument to quickly go between sustained, portato, legato and staccato articulations all within a single part. Animated and colorful, Miroslav Philharmonik 2 CE’s 18-piece woodwind ensemble gives you a full palette of orchestral hues in the form of flutes, piccolos, clarinets, bass clarinets, oboes, bassoons, contrabassoons and English horns. A single instrument combines the ensembles across the full keyboard range for an orchestral woodwind ensemble, and like the brass, a concert band ensemble variation is also provided. Then for each section, there is a master key switching instrument that contains the primary articulations for each instrument. These options let you control single woodwind ensemble instruments in your arrangement at an incredibly detailed level. 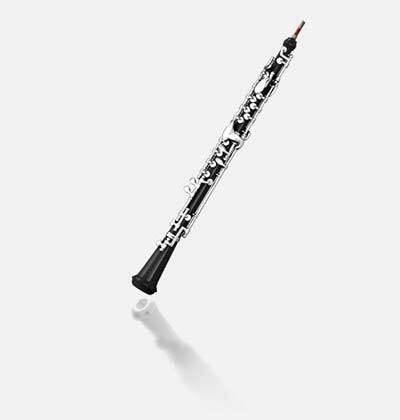 Miroslav Philharmonik 2 CE gives you incredible flexibility and power when it comes to solo flute, piccolo, clarinet, bass clarinet, English horn, oboe, bassoon and contrabassoon arrangements. You get a woodwinds quartet and a quintet that are both available as master solo instruments. Then as with the other categories, there are master key switching instruments for each solo woodwind. 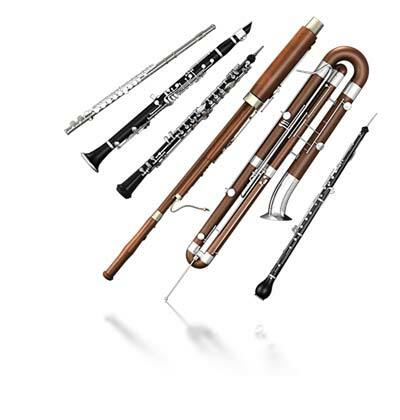 With these, you can have total control over all the solo woodwind instruments — with every available articulation — with just 8 parts! 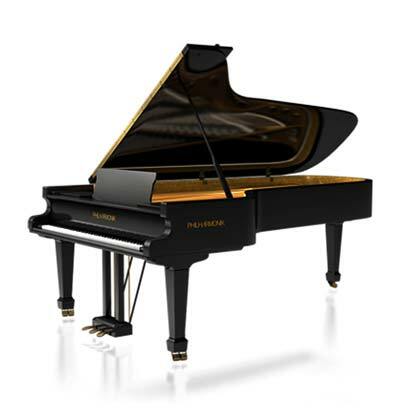 The grand piano is an essential element of the modern symphony orchestra. Our meticulously recorded stereo 9’ concert grand provides all the epic majesty, drama and richness that symphonic music demands. With full-length samples, a deep matrix of velocity splits and soundboard modeling from the specific piano we captured, the Philharmonik Grand is ready to perform as both solo instrument and supporting cast member of the larger orchestra. 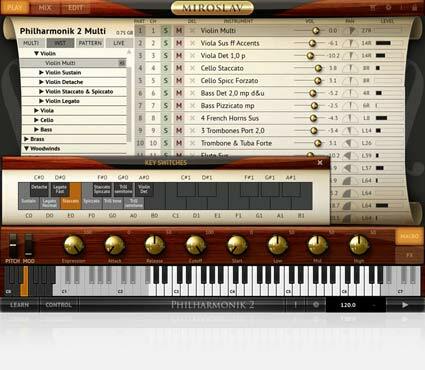 The Philharmonik Grand is also highly suitable for pop, jazz and other genres with its depth and quality. Also referred to as tuned percussion, the Miroslav Philharmonik 2 chromatic instruments add punctuation, sparkle and color to any symphonic production. 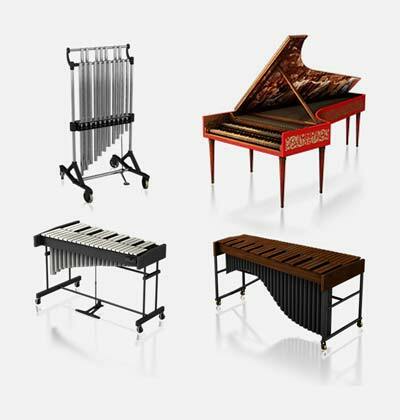 The collection of mallet instruments includes a concert marimba, a glockenspiel and orchestral chimes from the new Miroslav Philharmonik 2 sessions along with harpsichord, celeste and crotals from the Miroslav Philharmonik 1 collection. Below is a list of the instruments in Miroslav Philharmonik 2 CE organized by instrument type and articulation. The number in parenthesis is the amount of variations for each instrument articulation. The variations include performances at different dynamic levels, different lengths, different intensities and even different scales for recorded lines. Philharmonik™ is a trademark property of IK Multimedia Production. Miroslav™ name used under license from Universal Sincopation Ltd. All other product names and trademarks are the property of their respective owners, which are in no way associated or affiliated with IK Multimedia. Product names are used solely for the purpose of identifying the specific products that were studied during IK Multimedia’s sound model development and for describing certain types of tones produced with IK Multimedia’s digital modeling technology. Use of these names does not imply any cooperation or endorsement. Mac and the Mac logo are trademarks of Apple Computer, Inc., registered in the U.S. and other countries. Windows Vista and the Windows logo are trademarks or registered trademarks of Microsoft Corporation in the United States and/or other countries.